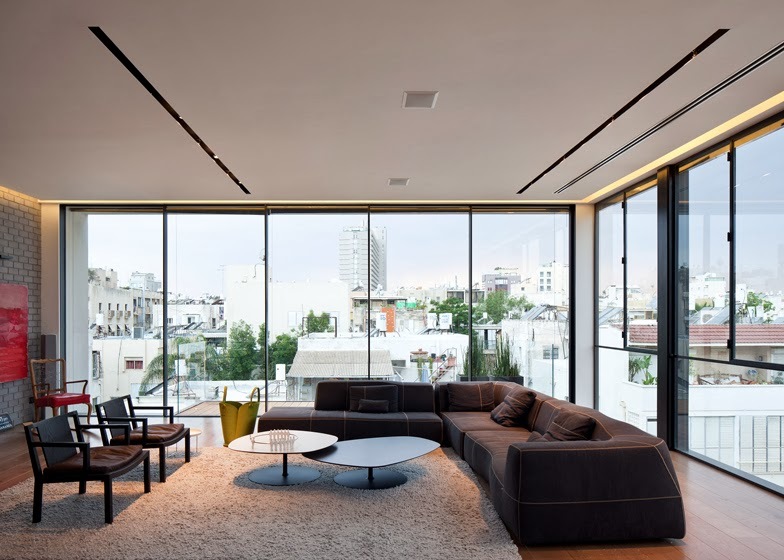 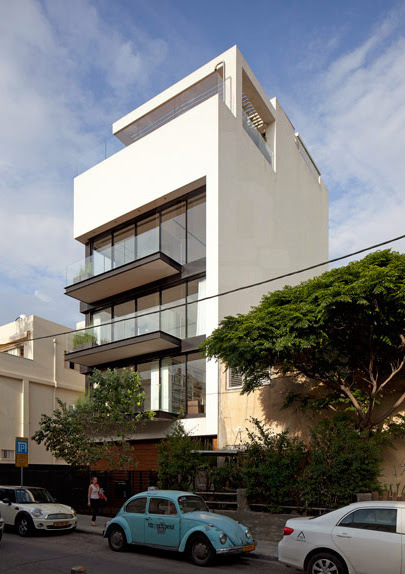 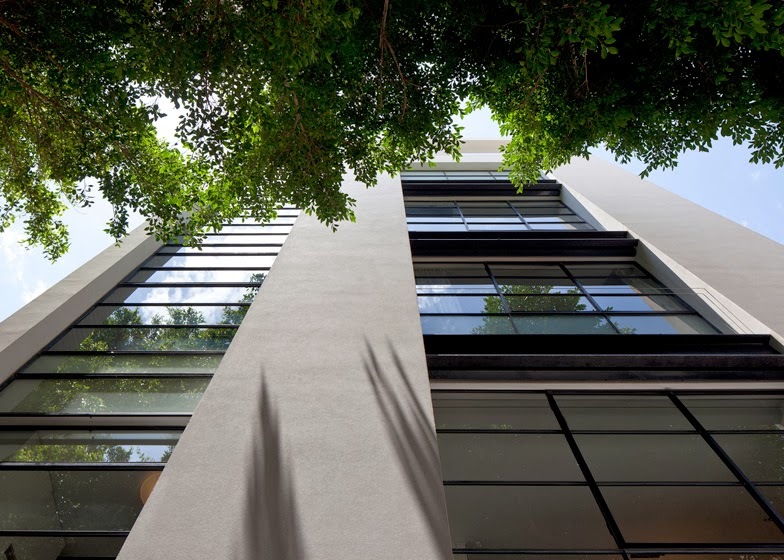 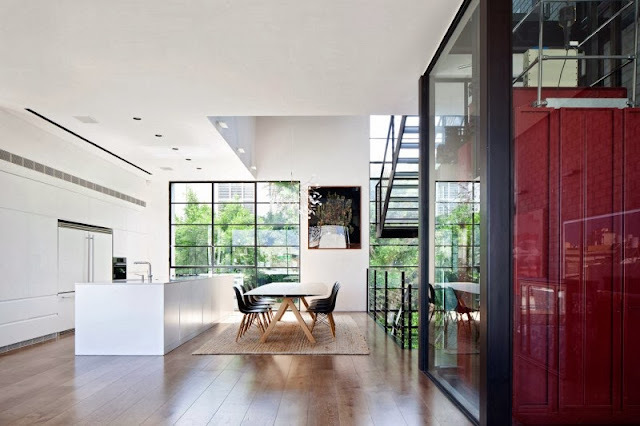 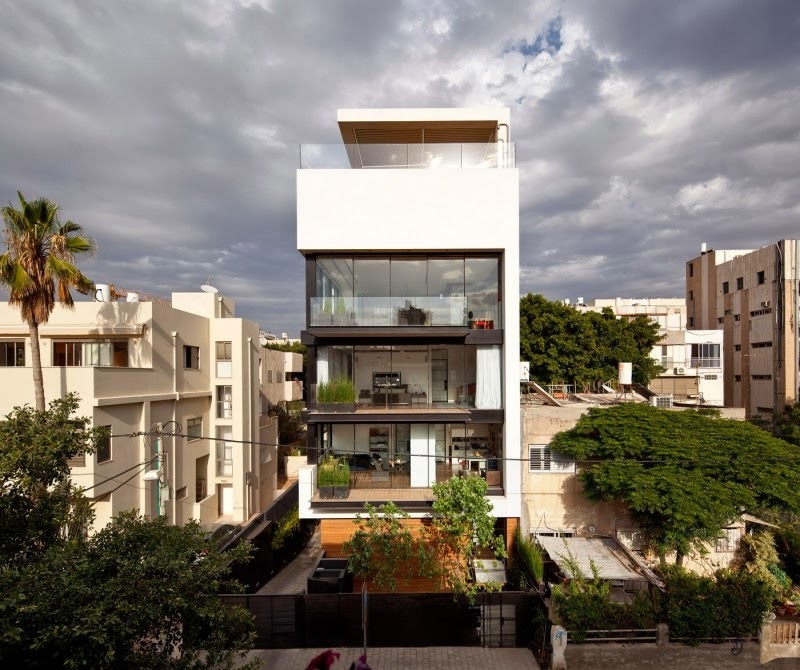 This contemporary, minimalist townhouse in Tel Aviv by Israeli architect Pitsou Kedem is arranged in six storeys, connected by a black steel staircase and crowned with an amazing swimming pool on top of the city. 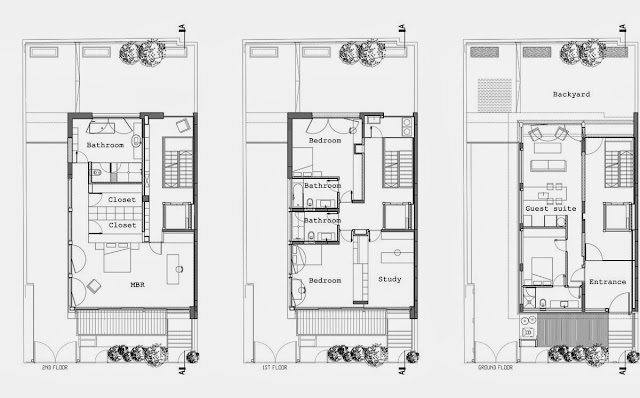 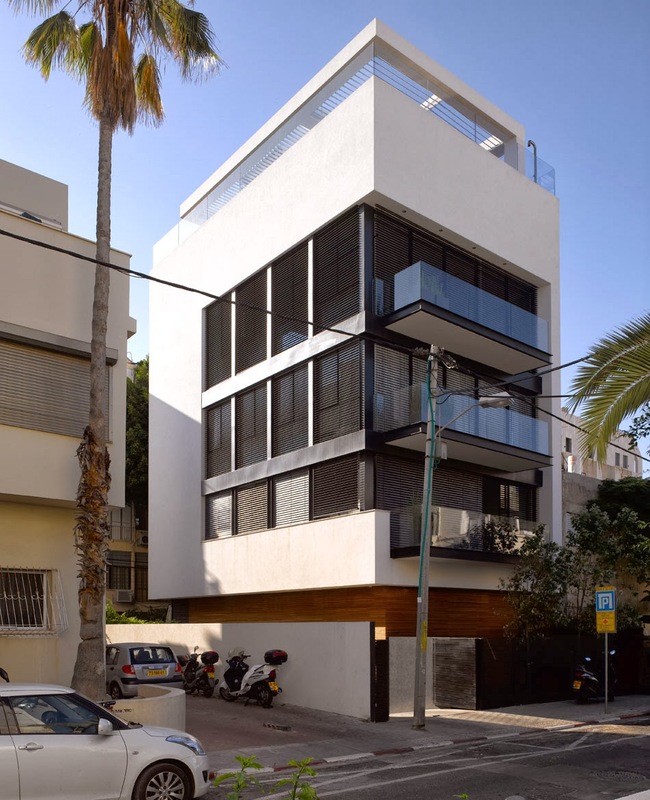 A 270 square meter plot was used as the foundation for a Tel Aviv town house consisting of a basement and an additional 6 floors. 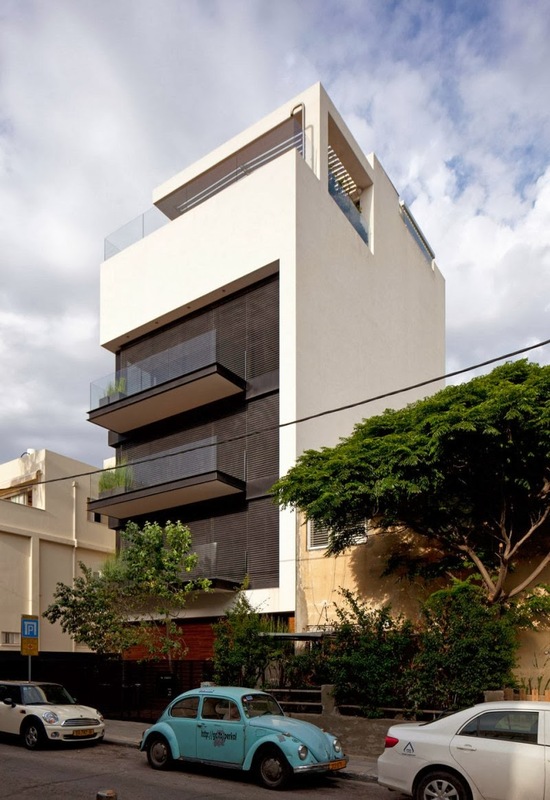 The owners wanted to create the experience of life in a private residence but within the city. 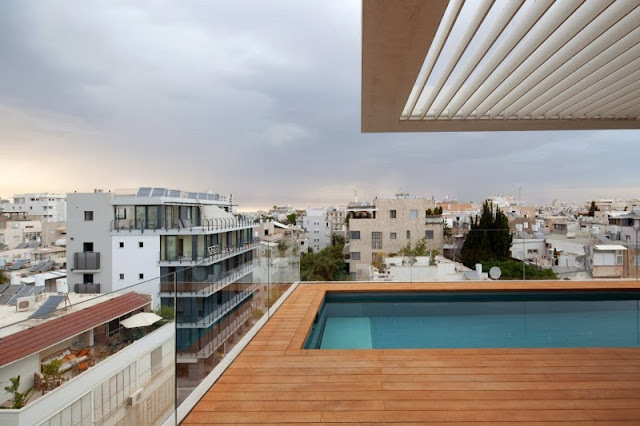 The architect, Pitsou Kedem, designed an urban style courtyard on the roof and, as a result, reversed the usually, permanent, order of things. 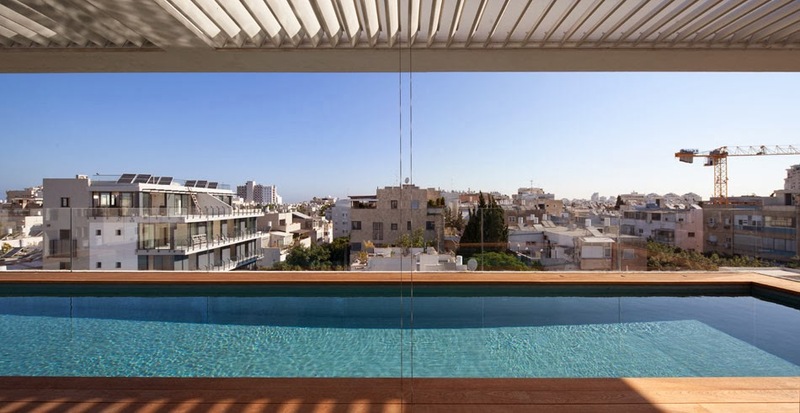 The authentic, urban skyline reveals to those in the courtyard, Tel Aviv’s rooftops and thus realizes the urban experience that the owners wanted to achieve. The architectural design was based on a cross section of the structure whilst creating a physical and visual relationship between all the floors. 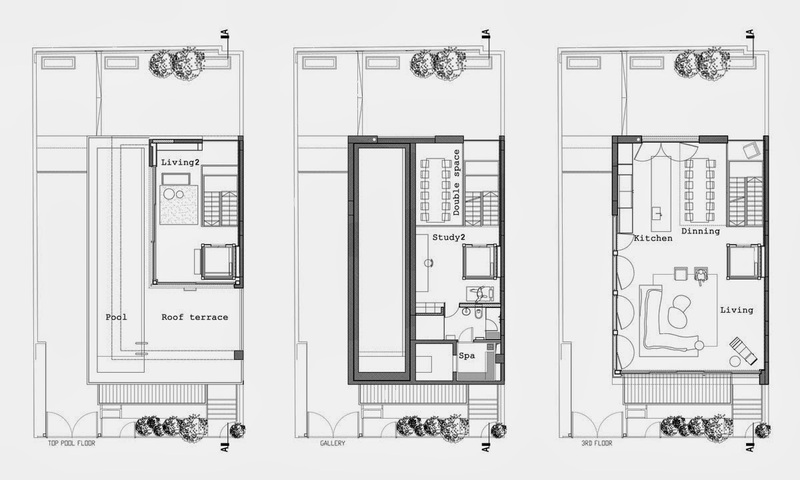 Each floor encompasses an area of some 100 square meters with every floor being used for a different purpose. This enables the house’s residents to create common meeting spaces alongside separated spaces that, together, maximize the usage off the space and maximize the privacy that day to day life in a home requires. 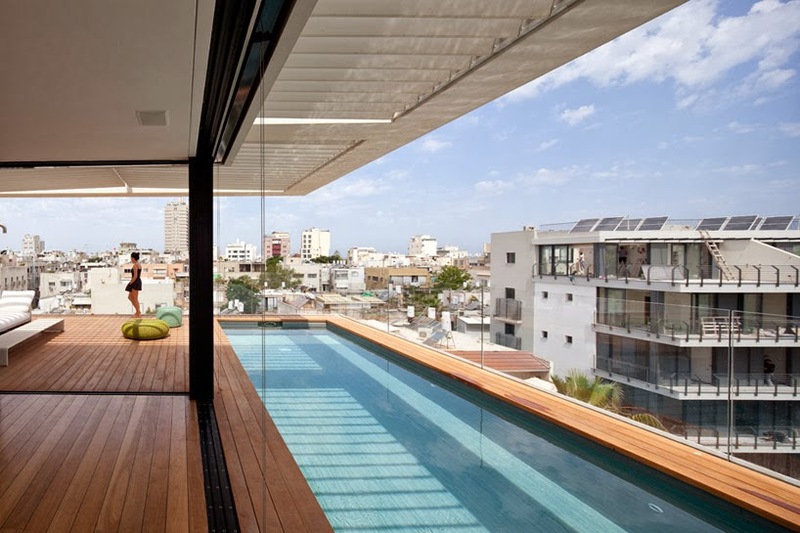 Thus, the design incorporates a separate floor for the parents living area which includes a large library, a floor devoted to children’s rooms, a common living floor and the upper floor for the pool. 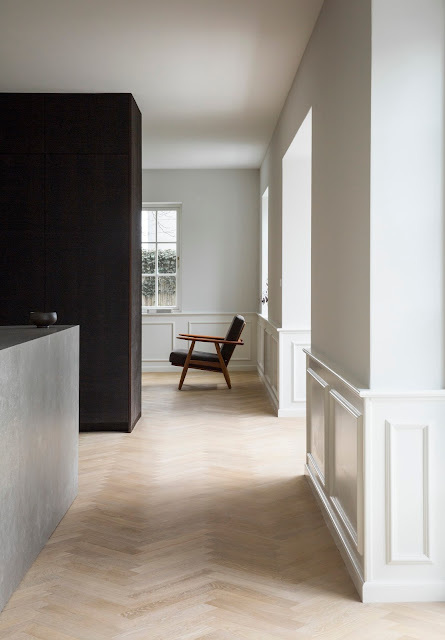 Wooden paneling is used around openings on the ground floor and is also used to disguise the entrance hall and a separate living unit. 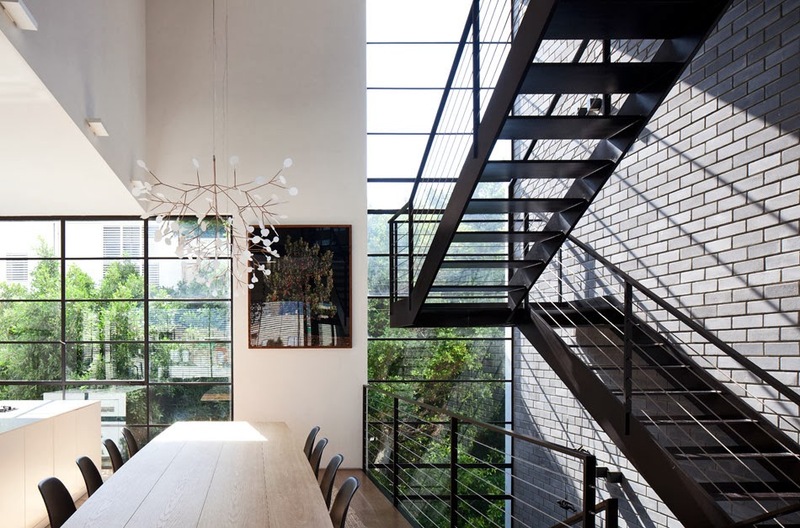 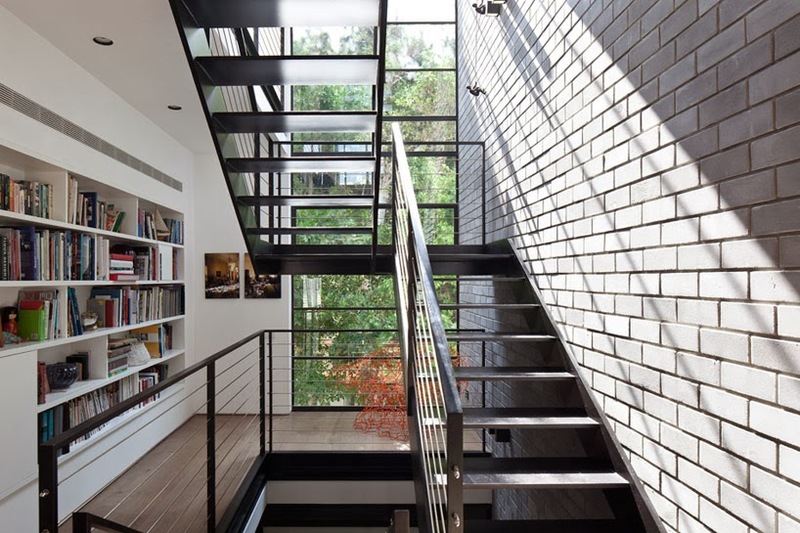 The home’s internal stairwell is designed as a dramatic, vertical line. 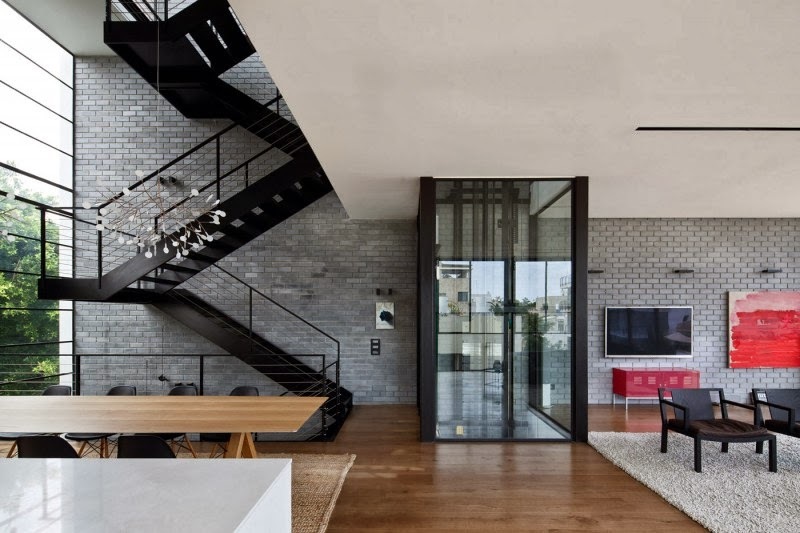 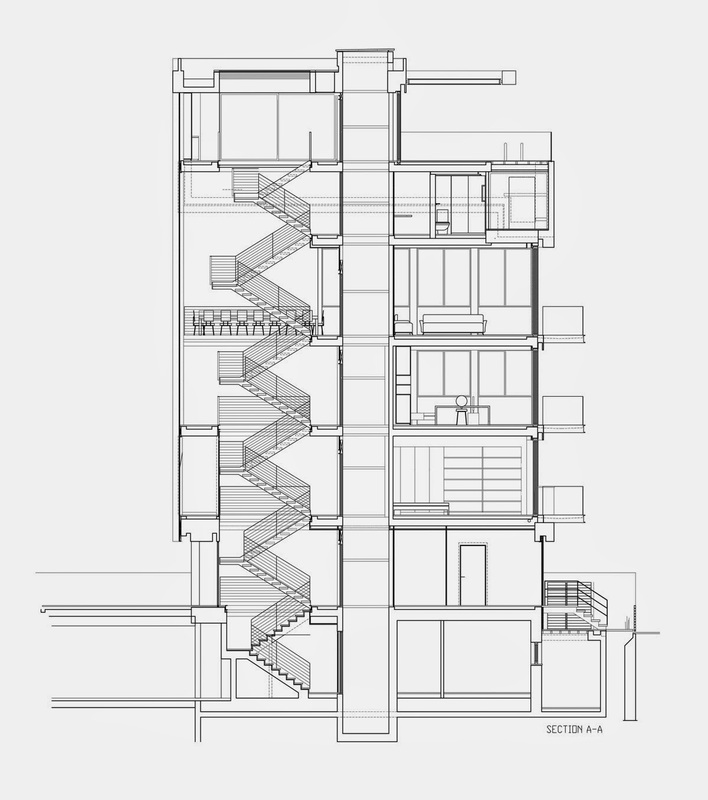 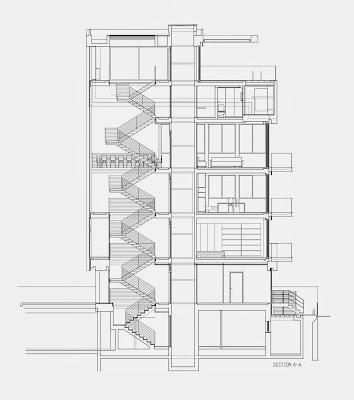 In contrast to the stairwell common in most apartment buildings which is usually designed to be hidden from view, in this design the stairwell is open and runs along a wall covered grey. Silicate blocks.